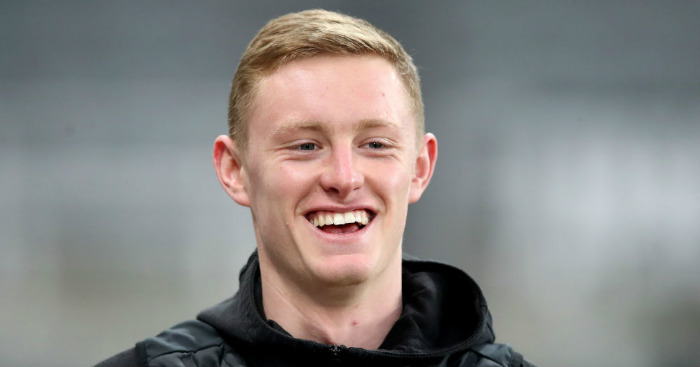 Brilliant picture emerges of Sean Longstaff with fans last night – On crutches but full of smiles – NUFC blog – Newcastle United blog – NUFC Fixtures, News and Forum. 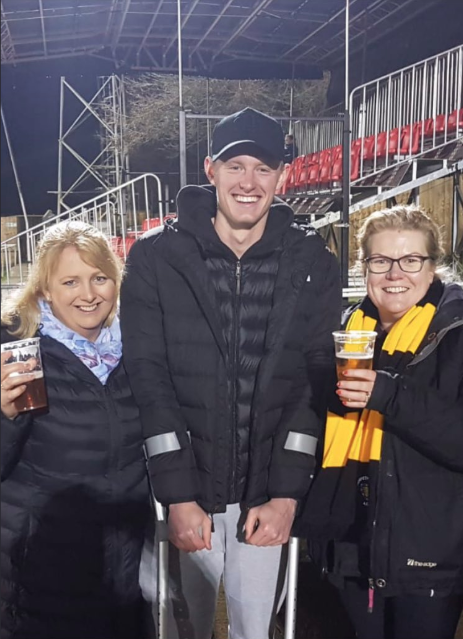 A brilliant picture has emerged of Sean Longstaff during the U-23’s Northumberland Senior Cup clash with Morpeth last night – with him praised by locals for spending time with fans while hobbling on crutches. It’s not yet known how serious his knee injury is – something he picked up at West Ham over the weekend after a crunching challenge with Robert Snodgrass – however he’s already been ruled out of Saturday’s game with Everton and is said to be seeing a specialist today. Sean’s climb up to Rafa’s first-team has been impressive enough as it is, but his maturity – both on and off the pitch – following his rise to fame has been brilliant; and this level headed and humble attitude is part of the reason why I’m convinced he has everything it takes to really make it on Tyneside. To see him on crutches once again is a concern, but it’s great to see him continuing to impress – even if it’s off the pitch this time. “Credit to Sean Longstaff, Jonjo Shelvey and Paul Dummett who were at the game having pictures taken with the kids. Hats off to all three. They’ll have made a few people’s day last night!